I’ve always been a fan of the in-between seasons, Spring and Fall, slightly more temperate than their extreme siblings. Too cold or too hot, no thanks! My seasonal porridge needs to be just right. 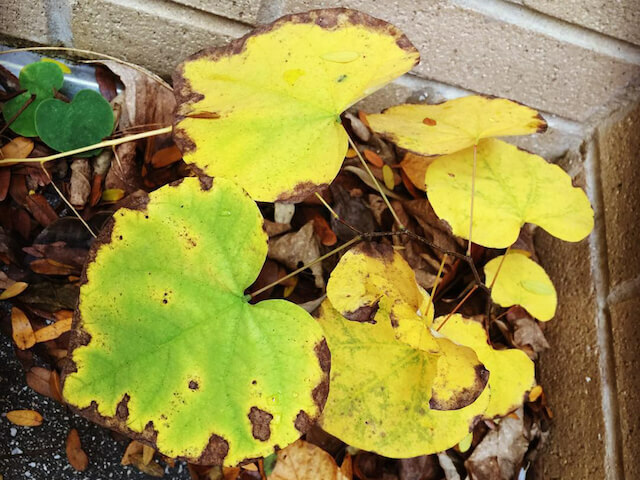 And I love capturing the seasonal changes, especially the autumn leaves. 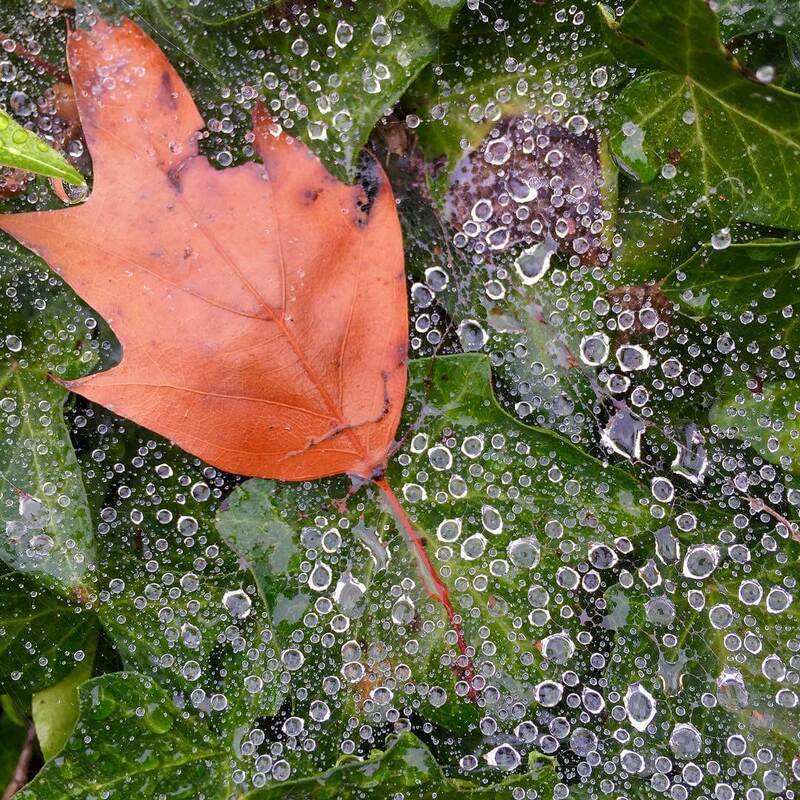 I haven’t really gone on a leaf walk yet this season, but some friends took amazing pictures recently and gave me permission to share them. You wouldn’t think a unifying theme of “wet leaves” would be all that interesting, but they captured lovely moments. 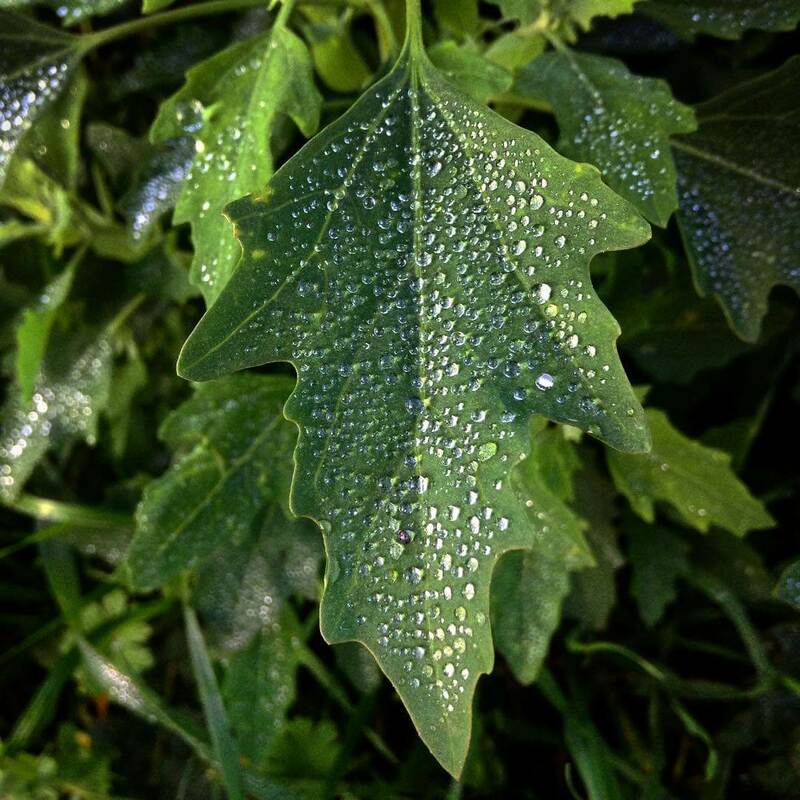 Taken by Maya, I love how she framed this shot, it’s perfectly dappled with delicate jewels of water… gorgeous! Her photography is amazing and even her instagram shots inspire me to keep my eyes open and my phone handy. A shot from Jonathan1, a medievalist who makes me jealous of both his travel photos and his doughnut photos. The composition of the one brownish-red leaf among the ivy, almost not even a part of the scene… yet. I’ve taken a few of my own pics this Fall, but haven’t yet been able to capture shots like these. Looks like I need to get one weekend soon for a photowalk! 1 His instagram may not be public, he gave me permission to post this pic, but if you’ll have to make your own introductions if you want to see more. Next story Caller ID? New Phone, Who Dis?